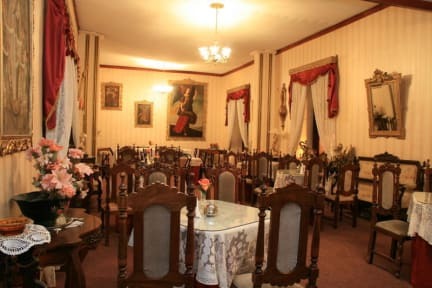 Hostal Sucre, offers the following services: Rooms with private bath, decorated in colonial style, set around two sunny patios, these rooms have permanent hot water, cable TV, Internet Wi Fi, telephone, coffeshop, safety deposit boxes, garage, and all the services that you will require during your stay in the capital of Bolivia. 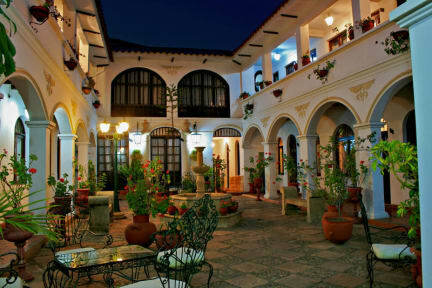 In the capital of Bolivia, named Cultural Heritage Site by UNESCO, is Hostal Sucre, offers some of the best hotel facilities in our area. The hotel, founded in 1982, is located just a block from the main square of arms in the city. Wonderful! Would love to stay here again. Hotel like. This was not a hostel. I had a private room, and there aren't social areas to meet people. That being said, it was a nice hotel with good breakfast, nice rooms. Don't stay here if you want to meet people, but you should if you want privacy!! Hard to say. They had no record of my booking and no free rooms. I lost my deposit and had to sstay elsewhere.